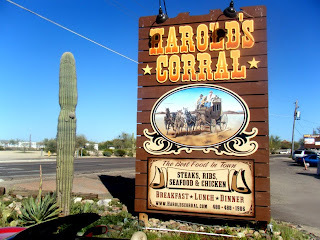 Harold's Corral is another big, western themed place in Cave Creek, and dates itself back to 1935, when Johnny Walker opened the Corral Bar to serve workers building the Bartlett Dam. In 1950 it was purchased by local character Harold Gavagan, which led to keeping lions and tigers in back and visits by various celebrities. Currently it is owned by some displaced Steelers fans, and serves as a gathering point for Steeler rooters who moved away from the midwest cold, just as the Buffalo Chip caters to Packers fans. Did I say big? Harold's seats 800 (600 inside and 200 on the outside patio). 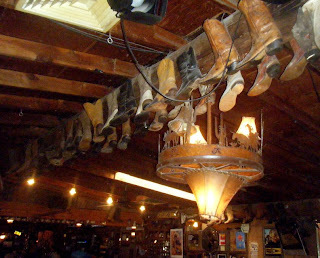 It has great happy hour prices -- my gin and tonic was $2. 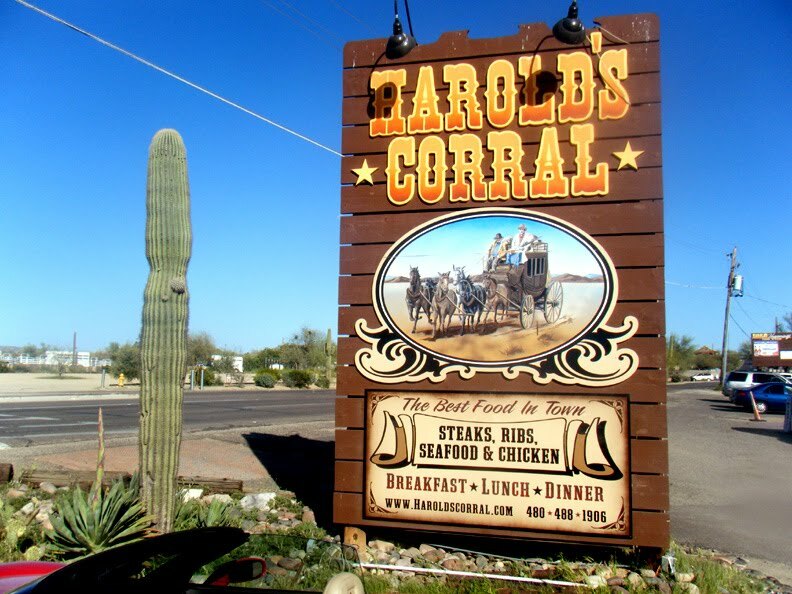 Nowadays it is full of the standard Cave Creek cross section of cowboys, bikers, retirees, and tourists.